Pierate - Pie Reviews: Perfect Pastry!! From the moment I set my eyes on these Foodamentalist pies I couldn't wait to eat them!! I repeatedly asked Pierateer SJL "are you sure they are gluten free?" "have you made a mistake?" The reason for my confusion, is that I have never seen a gluten free pie so beautifully presented that arrived in a small cellophane wrapper with absolutely NO supportive packaging!!! I know what your thinking..INCREDIBLE!! Well I am not lying to you and I have the pictures for evidence (well okay, you just have to take my word about the gluten free part!!). 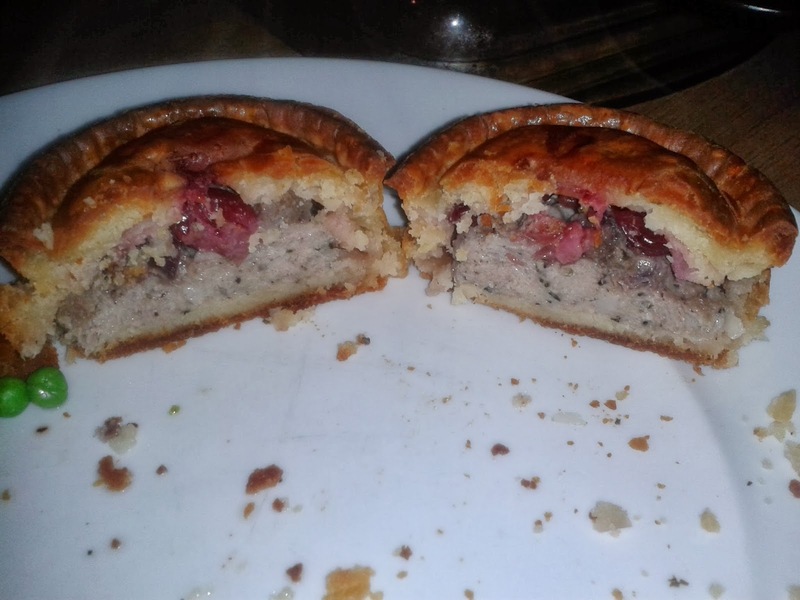 On the menu was: fidget pie; pork, venison and cranberry; pork, black pudding and caramelised red onion pie and traditional pork pie. But don't worry, I didn't eat them all on my own!! Priced at £1.90 - £2.50 on their website this is a reasonable price for a quality product. 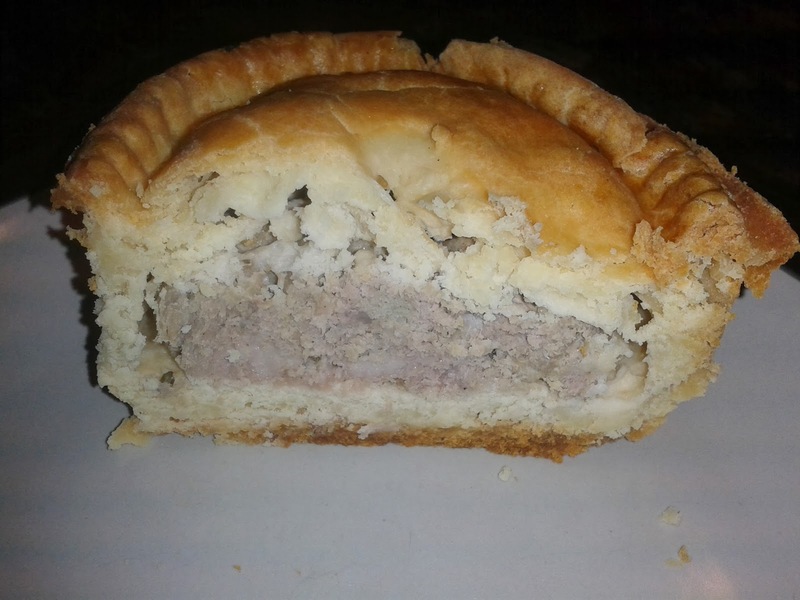 For starters was the traditional pork pie which like any pork pie, we ate cold. Having never found a GF pork pie, I was rather looking forward to this. However, my first mouthful filled me with disappointment as I had high hopes for these little fellas. 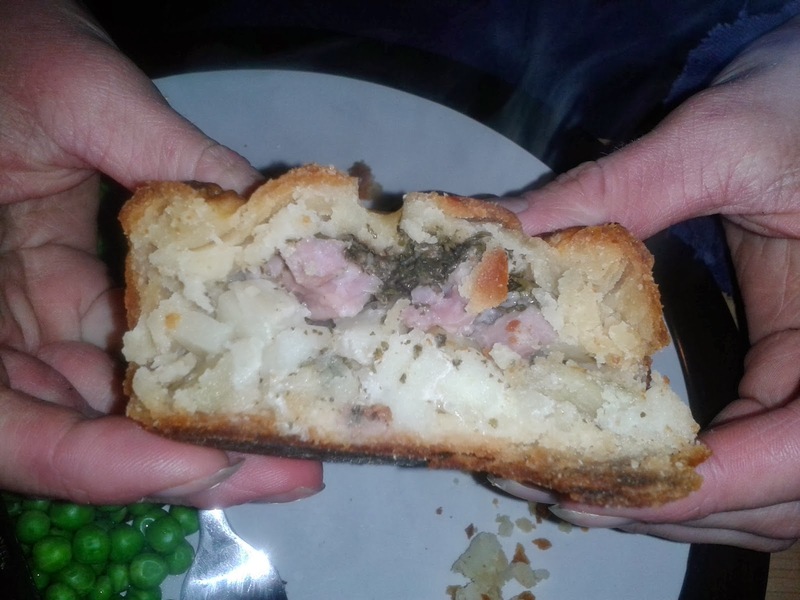 I couldnt quite work out what this pie was trying to be - it looked like a traditional pork pie and was called this, but yet it largely tasted of sage. If anything, this pie reminded me of a sausage roll. It wasn't as crusty and didn't contain jelly like a gluten equivalent, which did affect the consistency as the filling didn't hold together as well as I would expect a picnic finger pie to do so. The texture was actually quite pleasant though, and not at all chewy like normal meat pies are. Trying not to let this dampen my enthusiasm I moved onto the main course. First out of the oven was fidget pie.The pastry was so light, like nothing I have tried before and it had a slight crunch to it. The colour was again great and there was no air gap - a jam packed pie!! Although, I must admit that I couldn't really distinguish between the pastry and the filling as they both tasted fairly similar. The flavour was okay and felt nice and traditional. Next up....Pork, venison and cranberry. I liked the sound of this pie but in reality the cranberry's made the pie a little too sour. The meat was nice though. Pork, black pudding and caramelised red onion. I was fairly excited about the black pudding as I quite like it but its not something us coeliacs find much. Although, this did disappoint me as I didn't really like the taste and the pie lacked flavour. 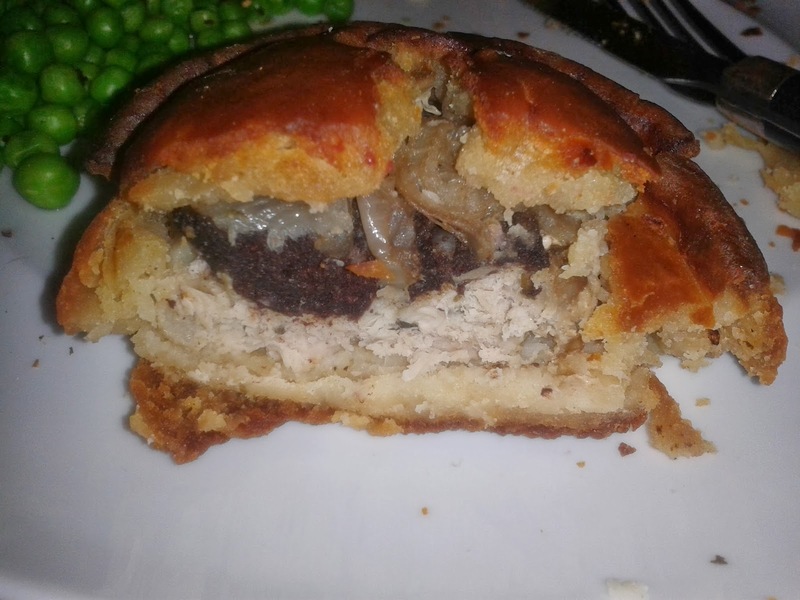 Lastly I tried what I thought was the best of all, the pork, chicken and stuffing....um...non-pie. It had a crumble topping so us Pierateers cant really call it a pie (as it's not fully encased). But I thought that I would mention that it had the best flavour of all the pies. In conclusion, the pastry on these pies is probably gluten free world class! Like nothing I have ever tried before and will probably try again. It was so light, beautifully golden and deliciously tasty. Thank you Foodamentalists. However, the fillings despite being a lovely texture and not at all chewy, really did lack flavour. It must be noted that these pies had been frozen before I received them, which may have affected the flavour. As the pies are on their own, I don't plan to eat these again but if the flavour is improved I would jump at the opportunity as these really could be delicious pies!! But before I go I must mention the desert! 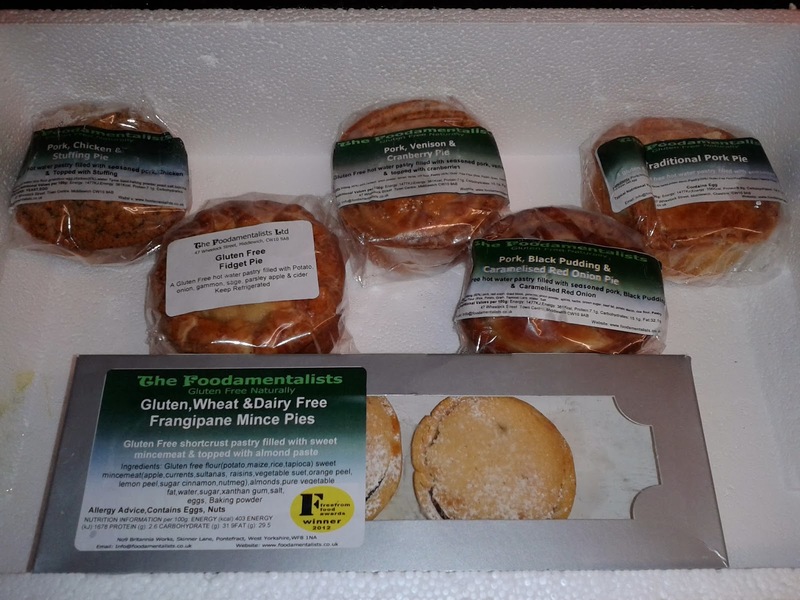 Foodamentalists were also good enough to send a box of Gluten Free Frangipane Mince Pies. The thing I liked about these is that they looked homemade and not like they came out of a machine. The frangipane topping was a really nice change and added to the taste. 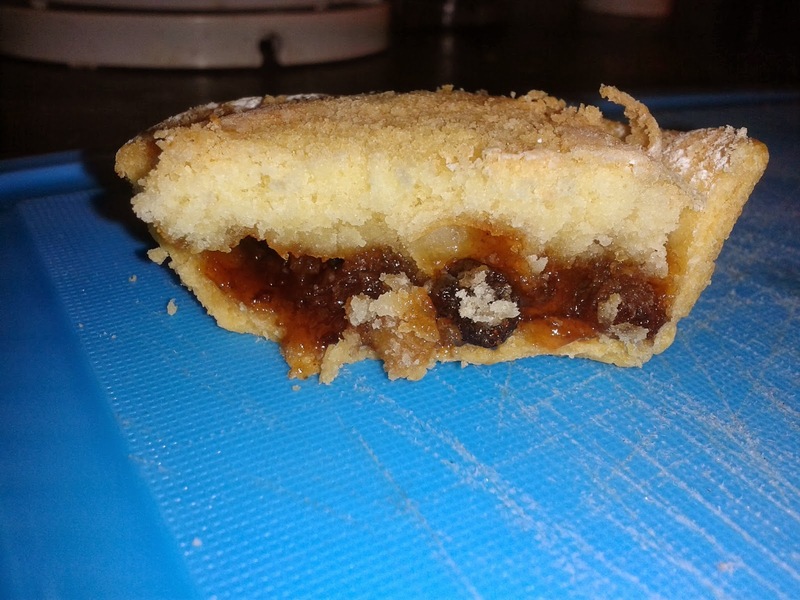 The mincemeat was similar to any other but not as sugary, this was something I liked. All in all a pretty good pie!